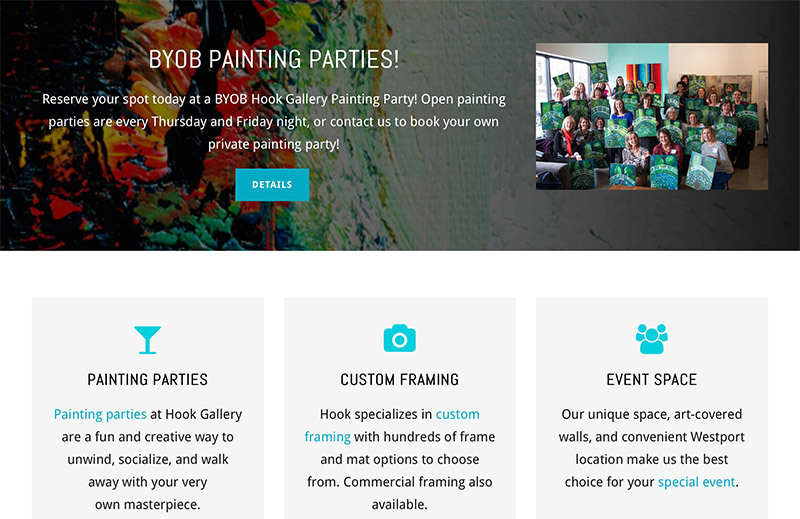 Hook Gallery in Westport initially setup shop as a framing gallery, but soon after began renting the space out for events and also hosting instructor-led BYOB painting parties. 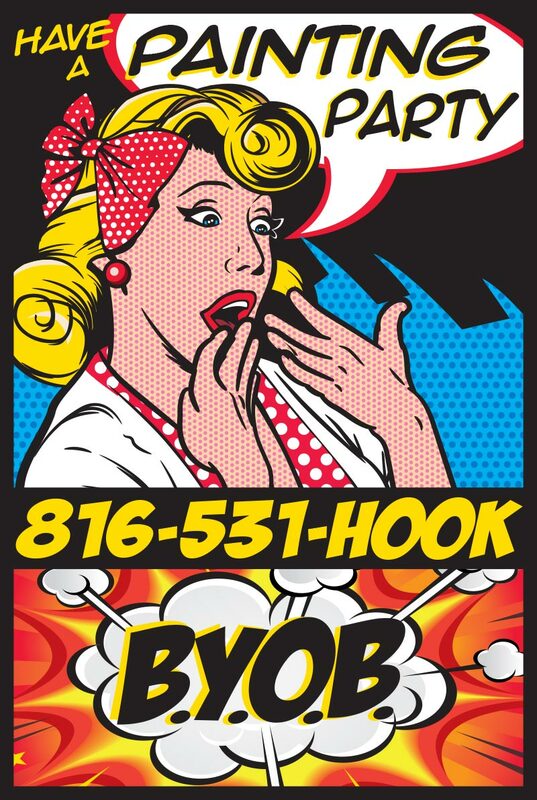 Have you ever gone to a BYOB painting party? If not, you should try one, they are FUN! Anyway, we worked together to come up with solutions for the new website to equally showcase their wide-range of services—and it was really great working with such creative folks!